The Luxembourg Peace Prize recognizes SEKEM as an initiative that was founded with the vision of sustainable development and giving back to the community. It aims to develop the individual, society, and environment through a holistic approach which integrates ecology, economy, societal and cultural life. Today, the vision that brought Dr. Ibrahim Abouleish to dig the first well in the vast desert land still resounds in all of SEKEM’s activities. Like a compass, it’s vision, mission, and values guide it in the everyday work in all SEKEM institutions. Sustainable development towards a future where every human being can unfold his or her individual potential; where mankind is living together in social forms reflecting human dignity; and where all economic activity is conducted in accordance with ecological and ethical principles. CEO Helmy Abouleish was elected to be the fourth international National Adaption Plan Champion in April. This new initiative was initiated by the United Nations Expert Group for Least Developed Countries in order to provide recognition to eminent personalities in the field of climate resilience. The NAP Expo is the largest UN event on climate adaptation held annually and addresses good adaptation practices and international support modalities as experienced by developing countries. The main objective is better awareness of good practices of resilience and support for adaptation action across different spectrums, systems, and sectors. In cooperation with the World Future Council (WFC), Heliopolis University for Sustainable Development (HU) hosted a high-level conference “Solutions for Land, Soil, and Food in Africa.” The April event took place in Cairo and received a huge media attention. International experts and high-profile guests came together and worked on a declaration about the sustainable development of lands, soils, and food production in Africa. “Award of Honor” by the Ashoka Foundation in the Arab World. After experiencing two completely different worlds, European and Egyptian culture, the vision of SEKEM appeared in Dr. Ibrahim Abouleish’s mind. When he then bought desert land to realize his dream and build up a sustainable community, he was called crazy. Together with the support of some other dreamers and believers, however, he realized a small miracle in the desert. Helmy Abouleish, Dr. Abouleish’s son, and most dedicated supporter, now serves as Chief Executive Officer. Since the very beginning, SEKEM has understood that its great vision could only be realized through the support of a network of strong partners. Therefore, since 1977 SEKEM has continuously striven to foster a strong network of dedicated partners with who to work with in a fair and transparent way. Building partnerships based on mutual trust is important not only in private but also in economic life. SEKEM would not have been possible without long-standing cooperations that have been developed over the years are at the roots of SEKEM’s success today. 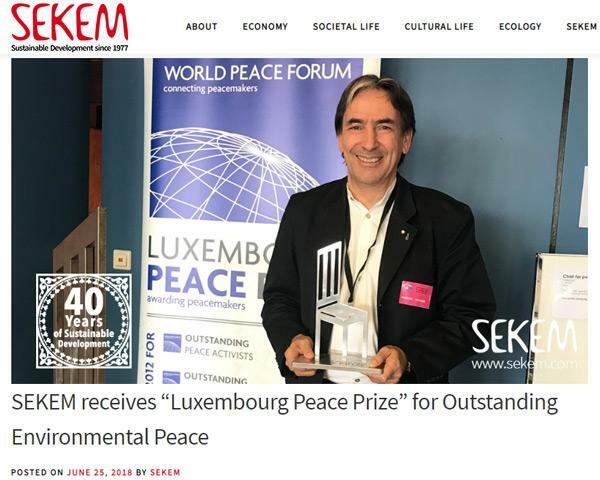 On June 22, SEKEM had been awarded the 2018 Outstanding Environmental Peace Prize during the Luxembourg Peace Prize ceremony. 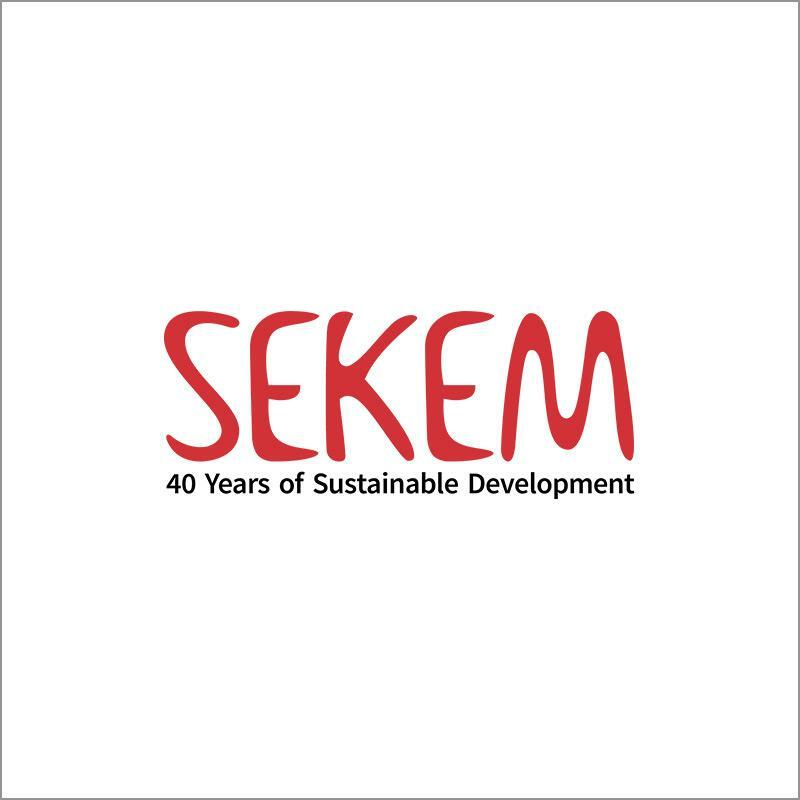 The “Schengen Peace Foundation and the “World Peace Forum” recognized SEKEM for its commitment to sustainable development with an integral dedication. The prize for Outstanding Environmental Peace seeks an individual or organization which builds peace directly or promotes culture of peace via environmental initiatives or practices.